Oral, mouse: LD50 = 338 mg/kg; Oral, rat: LD50 = 1944 mg/kg. Acetaminophen is metabolized primarily in the liver, where most of it is converted to inactive compounds. Chlorzoxazone Oral, mouse: LD50 = 440 mg/kg; Oral, rat: LD50 = 763 mg/kg; Symptoms of overdose include diarrhea, dizziness, drowsiness, headache, light-headedness, nausea, and vomiting. Aceclofenac Indicated for the relief of pain and inflammation in osteoarthritis, rheumatoid arthritis and ankylosing spondylitis. 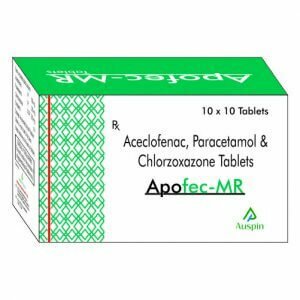 Paracetamol For temporary relief of pain. 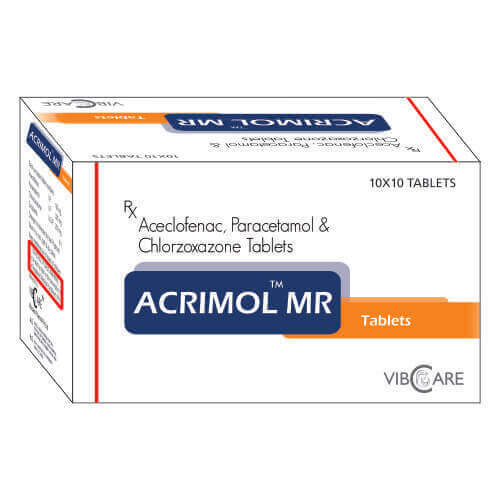 Chlorzoxazone For the relief of discomfort associated with acute painful musculoskeletal conditions.